Data loggers, often referred to as dataloggers, are essentially electronic devices that collect and store data collected in a variety of different environments, for example voltage or temperature. Some data loggers are specific to certain types of input signal, whereas other data loggers are programmable to receive different types of input. Although many data acquisition devices are available like plug-in boards, most instrument manufacturers commonly refer to data loggers as standalone devices capable of capturing electrical signals and storing the data collected for download to a computer at a later time. The most obvious benefit of a data logger is that it can operate independently of a computer. 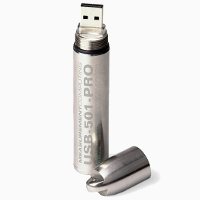 Data loggers are available in a wide variety of sizes, shapes and prices. Data loggers range from simple single channel devices, to more powerful devices that can be programmed to receive, handle and store hundreds of inputs at the same time. Firetail DAQ stock a comprehensive range of high quality, low cost data loggers from to suit any need and budget. The most common types of uses for data loggers are; temperature loggers, voltage loggers and humidity loggers.